Minors and mentally challenged individuals are considered to be incompetent to register through the Income Tax Portal. They can choose their representative to complete their income tax filing process. 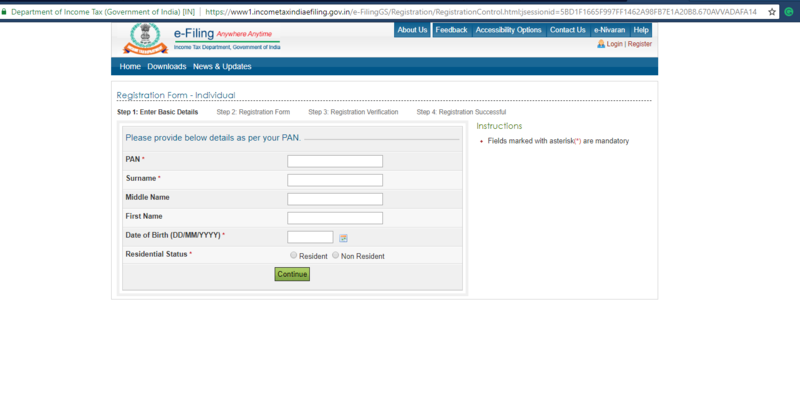 On the main page of the income tax portal, Click on Register Yourself. 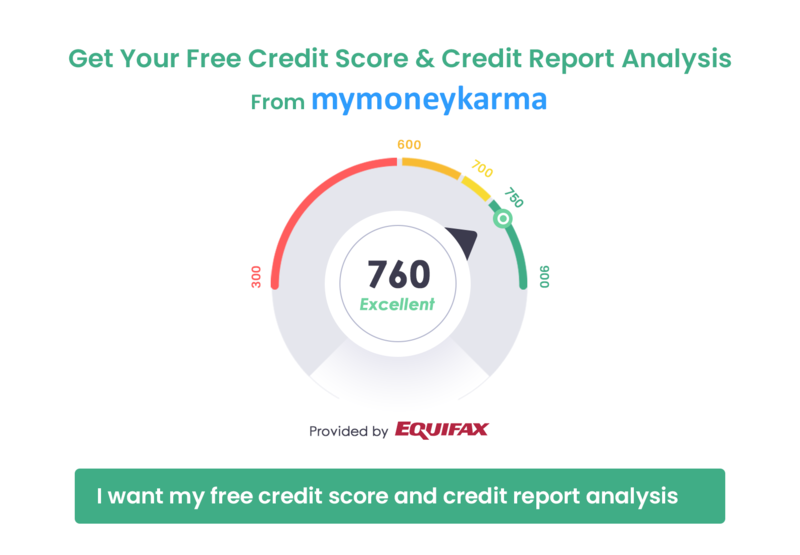 This link is on the right-hand side of the page. Step 2: Select the User Type. 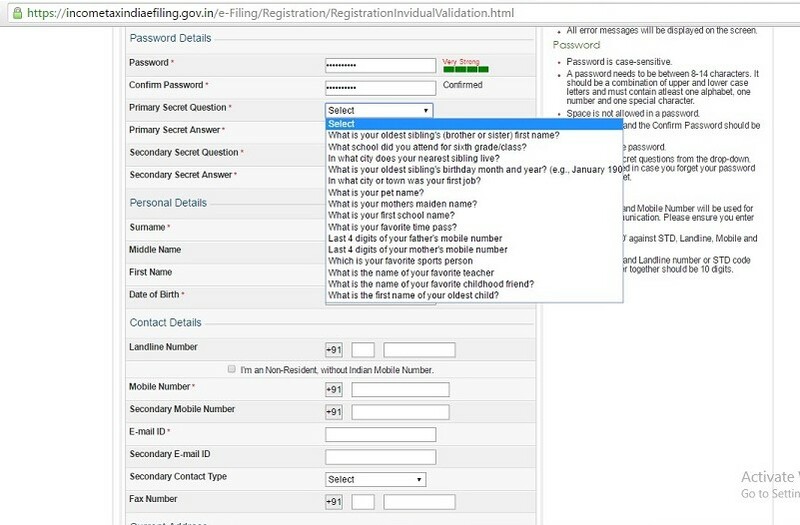 After selecting your user type, you will be redirected to a Income Tax registration form. After verifying all the details, click on Submit. A six-digit OTP is generated on your mobile number and email ID after duly submitting the form. The OTP must be entered correctly to verify the details successfully. In case of NRIs, the OTP is sent to the email address of the assessee. It is important to note that the OTP received on the mobile or email Id expires within 24 hours and if someone fails to finish the registration process within a timespan of 24 hours, then they will be required to initiate the procedure again. 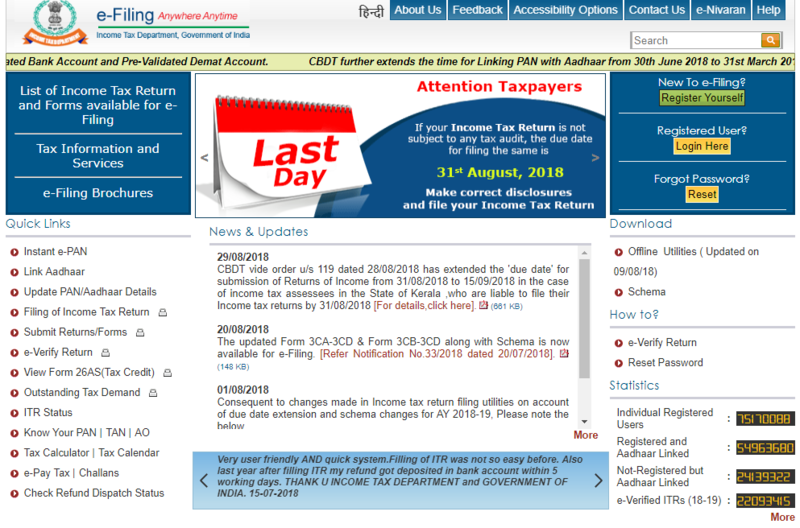 For accessing the income tax login page, you will be required to visit the main page of the income tax portal and select the button Login Here for the registered users. Once you have clicked on that button, you will be taken to the login page where you have to enter in your username and income tax login password. 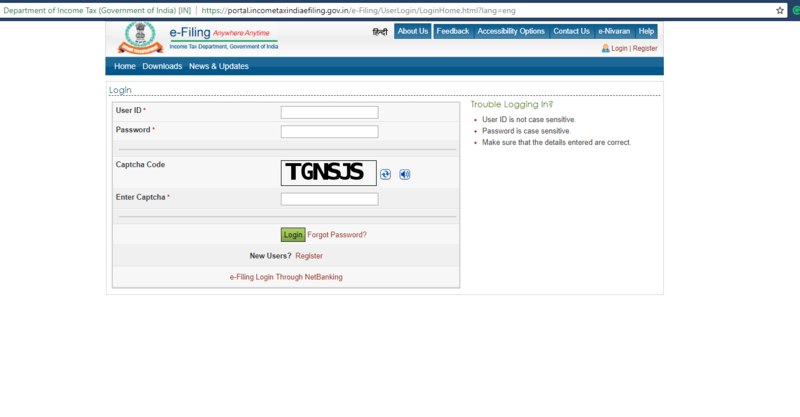 It is important to note that for income tax login, the user ID is the individual's PAN Card Number.